If you have traveled the United States, chances are you have visited at least one of the 11 SeaWorld theme parks. The SeaWorld amusement park is known to be one of the five biggest amusement parks in the world. Recently, the company that owns the parks, SeaWorld Parks and Entertainment, announced that it will ban plastic bags (shopping bags) in all eleven of its theme parks. Such a move by the company has made the world take notice this year on Earth Day. According to OrlandoSentinel.com, the company sources say that with the ban, they will be saving the environment from about four million plastic bags per year. These bags that would otherwise end up as non-biodegradable wastes are now kept under control by SeaWorld. SeaWorld theme parks have been successfully drawing crowds by the millions annually. In 2011 alone, almost twenty four million people visited the 11 parks. The decision to ban plastic bags so that use of reusable bags can be promoted has been well received by all. According to the president of ITPS (International Theme Park Services), Dennis Spiegel, this decision is going to set a trend in the industry. This is good news because if every theme park gives away reusable bags, the consumption of plastic will reduce dramatically. Plastic bags are known to be disposed of to the oceans where they damage to the marine bio diversity. With reusable bags, thousands of marine animals can be saved. 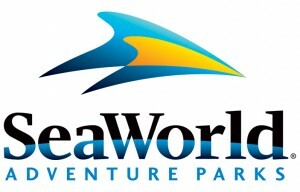 SeaWorld announced its plans on 24th April, 2012. After the announcement, a new attraction called Turtle Trek was opened to the visitors. This attraction doubles up as a habitat for sea turtles. The President and CEO of the company hopes that this “significant change” will inspire other companies to follow suit. The Vice President for SeaWorld theme parks merchandise Jane Tebbe-Shemelya says that banning plastic is going to cost the company heavily and it is possible that they will lose out on hundred thousands of dollars per year. Despite the loss, they went ahead with the ban. This displays the company’s determination in promoting environmental sustainability. She adds that more than one billion tons of garbage ends up in the different oceans each year. Tebbe-Shemelya emphasizes that the company is constantly looking for ways to contribute towards environment protection. They evaluated their “supply chain” before coming up with this decision. SeaWorld will continue to make efforts towards maintaining a cleaner environment in the future. The company might have to face some challenges in the initial days of implementing. SeaWorld Park at San Diego was the first of the company’s theme parks to test the no plastic bags policy in 2011. This year, the company has implemented this policy to its Orlando parks. The parks that include Aquatica and Discovery Cove have stopped distributing paper bags from 24th April. Other theme parks in San Antonio, Williamsburg, Tampa, and Busch will implement the policy in the coming months. By the end of 2012, the company is aiming to go plastic-free in all its theme parks in the US. With more bags given away, you can enjoy safer and cleaner theme parks. The exact date on which this will happen will depend upon the existing plastic bag inventories that they will have to exhaust. According to some industry experts, this move is going to bring in a lot of goodwill for the company and will affect its long term stability positively. Whatever additional costs the company now incurs will be countered by larger profits in the coming years. The reputation as an environmentally responsible company is going to be valuable to SeaWorld group as it has been making efforts towards supporting conservation of wildlife. According to the company’s sources, during the past forty years, they have saved around twenty thousand ill, injured or orphaned animals. More than fifty million dollars have been spent towards environmental initiatives across the globe. This policy will help bring the company’s conflicts with environmental activists who argue that keeping marine mammals as captive animals is animal cruelty. The company has also gone green in its vegetable inks and recyclable fiber napkins. Recently, more additions were introduced in the form of drinking cups that are manufactured with renewable resources. This initiative was a tie-in with the Coca-Cola company.